New Orleans Historical features stories & scholarship about New Orleans. 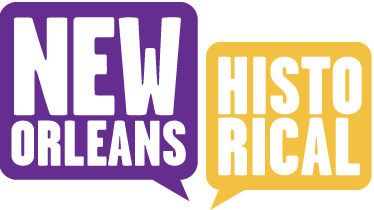 New Orleans Historical is a project of the Midlo Center for New Orleans Studies in the History Department of the University of New Orleans and the Communication Department of Tulane University. It is available as a free app for iPhone or Android mobile devices via the App Store and Google Play. You can also enjoy the stories on the web at neworleanshistorical.org. New Orleans Historical stems from the idea that historical scholarship should be freely and publicly available. The central component of the platform is a map that allows stories to be attached to particular sites in the city. This place-based storytelling transforms the city into a stage for recounting both popular and forgotten historical moments. These virtual tours are linked together by varied unifying themes, periods, or geographic areas. Historical photographs sourced from archives, in addition to oral histories and videos created by scholars, community members, and students bring these fascinating, lesser-known events from New Orleans History alive for city locals and visitors alike. Special thanks to our founding sponsors: New Orleans Center for the Gulf South, UNO Department of History, and Tulane Department of Communication. Want to become involved? We are seeking partners, stories, and sponsors. In memory of Michael Mizell-Nelson. Photographs in the New Orleans Historical website and mobile apps are used with the expressed permission of their creators, owners, or other caretakers (for example, a library or archive). Sources are cited in the captions for each image. For further information about photographs, including requests for reproductions, please contact the listed source directly. Please note that we cannot give the contact information of private individuals, nor are we empowered to grant permission for further use of any photographs.